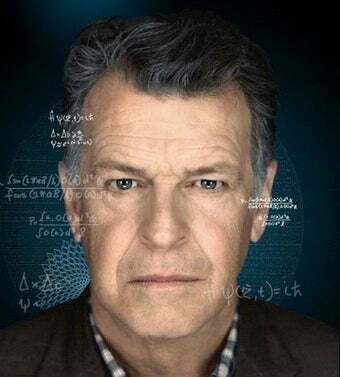 Scifi has traditionally been ignored by the TV Academy — which'll be handing out nominations on July 8th — but Noble did such deft, powerful work last season as Fringe's Walter Bishop that to overlook him would be a crime. The campaigning is starting, fast and furious — ads are being taken out in the trade magazines, stars and shows are submitting their best work to the Academy of Television Arts and Sciences for nomination consideration. All we can do, now, is to implore the Academy — the same people who never nominated Edward James Olmos, Mary McDonnell, Patrick Stewart, or Sarah Michelle Gellar for their acting, and never recognized Battlestar Galactica in the Best Drama category — not to skip past Fringe's John Noble. He delivered such carefully modulated, heartbreaking working as a man at odds with an ever-changing reality, his own tenuous sanity, and the varied sins of his past that to skip past him in order to give Jon Hamm another nod would be criminal. And cause for a burny, flamey riot. I'm just saying.